Inspiration: Paul and Michael Finch. THERE’S a strong bond between new Order of Australia Medal recipient Paul Finch and his son Michael. Mr Finch, 76, received the award on Australia Day for his outstanding volunteer work for the St Vincent de Paul Society over more than 37 years. It came as an overwhelming surprise to learn that 43-year-old Michael was responsible for nominating him for the award. “As his son, I am deeply proud of his virtually anonymous contribution to his community,” Michael, who has spent a lifetime watching his father’s volunteer efforts, as a crisis care worker, administrator and fundraiser, said. Inspired by his father’s service, Michael, himself, signed up as a Vinnies volunteer four years ago, and then decided to nominate his father for an Order of Australia Medal. He wrote a submission to Governor General’s secretariat with the full support of his mother Greta, and his siblings James, Elizabeth and Adam. Like many men of his generation, Paul shrugs off the individual significance of receiving the award. “There are probably twenty people I could name who do as much or more than me, but no one’s ever nominated them,” Paul, a retired chief executive officer, said. “There is a very great need out there for crisis relief services. Michael described his father as “a man who leads by actions, not words”. “He is an unassuming, kind, humble and generous man who has spent decades of his life helping the less fortunate,” he said. In writing the Order of Australia Medal submission, Paul estimated his father had made 5000 crisis care visits providing food and clothing, and financial and emotional support to the most susceptible members of his local community – people suffering from domestic violence, the mentally ill, and the drug and alcohol dependent. Many of those he helped have been children. “Paul has visited these people in their homes to provide food, clothing (blankets in winter), help pay overdue bills, provide emotional support and to advocate for them,” Michael said. The funds used to assist these people are raised through the local Catholic Church. “As a direct result of the example Paul has set through his volunteer work, he has encouraged and inspired me to join the St Vincent de Paul Society,” Michael wrote in his submission. “How many people will I be able to help through the example Paul has set? “What impact will I have over many years of service? One man can make a difference. It was Paul’s own family hardship which drew him to help others. He joined the St Vincent de Paul Society soon after the catastrophic 1974 flood that engulfed Ipswich. The family home in Callaghan Street, Booval, was submerged during the flood. The family lost almost all of its belongings, all its photographs, clothing and furniture, even Greta’s wedding dress. After the clean-up and the generosity and kindness extended to his family, Paul decided he wanted to give something back to the community. He joined the St Vincent de Paul Society at St Mary’s, Ipswich. 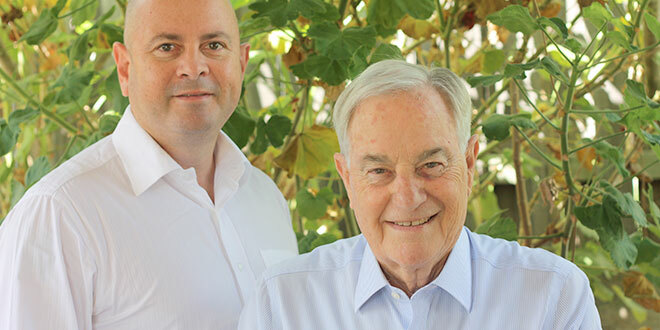 Now living in Brisbane’s northside suburb of Griffin and attending Our Lady of the Way, Petrie, Paul’s tireless commitment and ongoing service to his community continues. He said the need for crisis care support was huge and growing, with often six call-outs a day. Paul also uses his extensive business and problem-solving skills, built up over 37 years of service, to advocate on behalf of families in need. In some cases he goes direct to local MP’s to put the families’ cases for special assistance or exemptions. “It’s part of the Australian way. I want people to get a fair go,” he said. Paul said his voluntary work was strengthened by his Catholic faith. “What we in Vinnies try to do is see the face of Christ in all those people we deal with,” he said. Through his faith, Paul also counts himself as an outspoken opponent of the abortion bills due to be debated by the Queensland Parliament this month. “I’ve got this strong belief that abortion is murder. And unborn children and homeless people – there’s a common thread through all of that,” he said.